Sage Conti Design is a full-service Interior Design firm that specializes in conceptualizing, managing and executing residential and commercial interior design, home construction, and remodeling. We believe that good design is an organic process between the designer and client and stems from an open line of communication about the function and overall feel of your space. Our goal is to create homes that are just as beautiful to look at as they are comfortable to live in. Full-scale new construction, remodeling or a simple makeover; we will help you feel confident about your design decisions and feel excited about your project, every step of the way. A productive day starts with a To-Do list - your design project should too! It is never too early to bring us on to your team. In our experience, the time and effort spent together during the pre-construction phase, outlining an overall project aesthetic from the beginning, is truly the key to expediting the construction process and keeping the budget more in check throughout the project. We will work with you from the start to brainstorm ideas, understand the goals of your project and apply that information to a focused scope of work. We then work in coordination with your Builder and Architect to insure our ideas are translated and executed. Let's get your project going in the right direction from Day One! 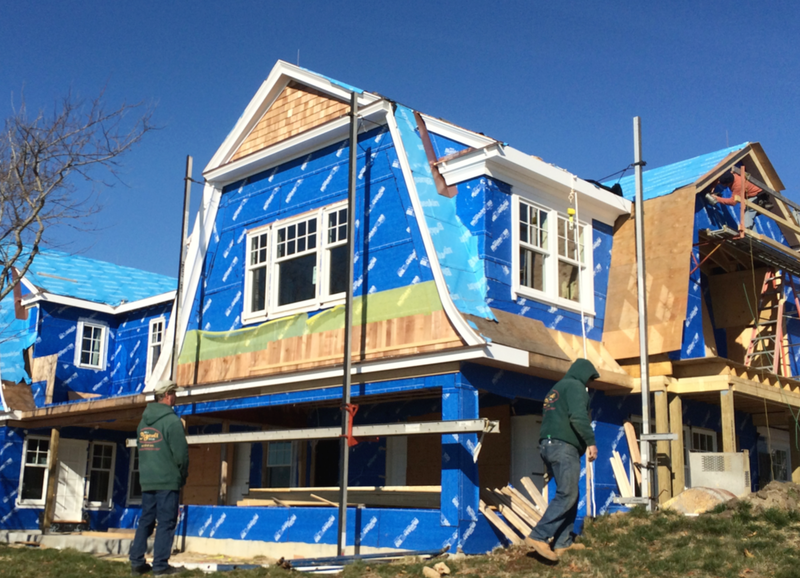 The New Construction & Remodeling process can be overwhelming - we are here to help make it easy for you! Whether your are venturing into new construction or remodeling your 100 year-old-house, let’s work together to create a home that functions for your needs and looks beautiful at the same time. We take our role as leaders on your project as seriously as if it was our own. From consulting on your architectural plans to sourcing flooring, lighting, tile, hardware, furniture and more, we work as a true partner by helping you maintain a cohesive design aesthetic throughout your project. We use our years of industry experience and eye for style, combined with our trusted trade resources to guide you through the design and construction process with ease, confidence and excitement. From documenting the hundreds of required decisions to purchasing, tracking and delivering materials onsite in accordance with the building schedule, we love being hands-on from the ground up. We will work in close coordination with your Builder and Architect to help expedite the construction process and achieve a beautifully finished home. Every home has BIG potential and we can help you see it! Do you have a whole house you want to transform or one room that could use an update? We love to tackle any size design project with the same excitement and effort as if it were our own! It is absolutely amazing what new paint color, updated light fixtures, a fun wallpaper or your existing furniture, newly upholstered, can do for a space! We mix high style with function to give you a truly unique and refreshed home. Let's take your newly constructed home, out-dated dining room or small powder room and give it a new life that reflects you and your lifestyle in the best possible way.